A spokesperson for Sony UK has said that the new Nokia Pureview 808 smartphone is an 'interesting' development, but has claimed that the technology inside it is nothing new. Nokia's 41 million pixel smartphone grabbed all the headlines when it was announced a few weeks ago, but several people have since been quick to denounce the technology. Sony UK's Paul Genge told TechRadar: "It's quite clear it's a development announcement more than a retailable proposition, the technology is not new, it's only what our cameras have done for about a year now." Although it would seem that Nokia uses pixel binning for its camera, the company claims that it is using "proprietary oversampling algorithms to achieve the best performance", which it claims is better than standard pixel binning. 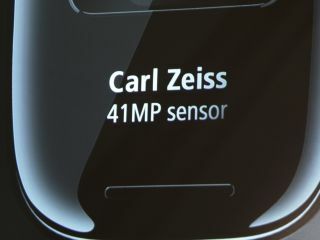 Users are able to capture 34 megapixel images in 16:9 and 38 megapixel shots in the 4:3 setting. Sony cameras use what it calls by pixel digital zoom, which groups pixels together for increased sensitivity. "In that respect, it's not especially stand out, but within the mobile sector, yes it is, so I can understand why it's drawn an awful lot of attention," Genge continued. "But, it is still only a technological announcement, it's not a plausible retail solution yet."